Originally posted to Reddit /r/snowboarding, November 2013. I’ve since upgraded some gear. There are quite a few posts on this sub where people asking for equipment advice. This is a great resource to have. But often many rag on the craigslist setups that are cheap and/or older. I would like to make an argument for them. I’m a 40 year old boarder. I’ve skateboarded, surfed, and wakeboarded my whole life. I had never snowboarded (until recently), although I’ve wanting to since I was probably 13 though. What kept me from it? 1) distance and 2) cost. Living in Florida with a full family makes a get away to snow quite a pricey endeavor. I finally bit the bullet a few seasons ago and hit Sugar Mountain (North Carolina) with the family. We rented their boards, took their lessons, bruised our asses, broke my wrist, and overall just had a blast. My boys and I were running the greens pretty confidently by the end of the day. At the end of the day, we were hooked! In prep for the next season I decided that I was going to buy our own equipment, to save the rental fees. I told my sons that this would be their “primer/starter” board into the sport and that they could upgrade their equipment on their own dime. So I did a bunch of research on lengths, waists, boots, etc. 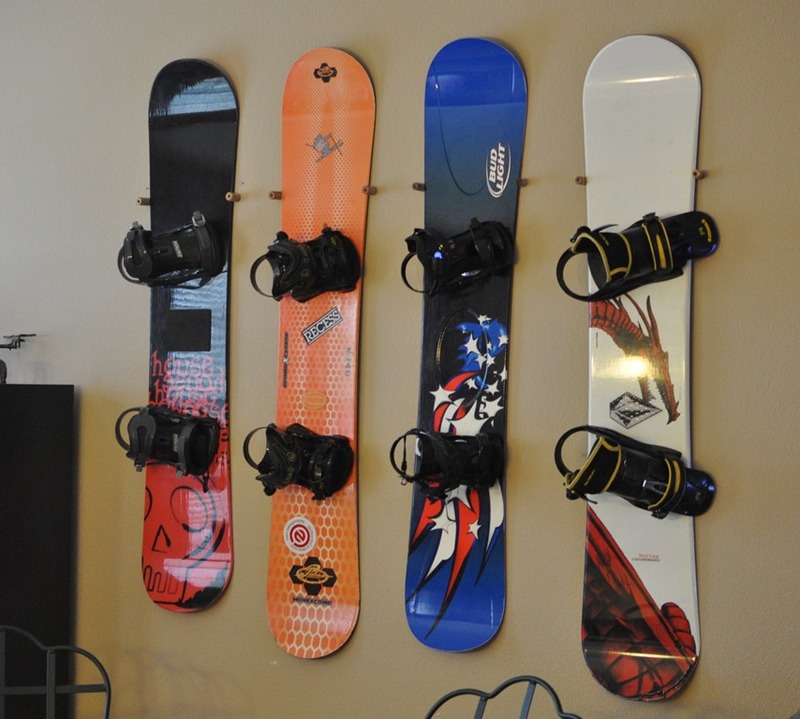 I made myself the goal of getting three full setups (boots, bindings, boards) for $100 each. I figured at that price, the purchase would pay for themselves in about 3 days, verses rentals. So for about six months, I scoured craigslist, pawn shops, and ebay to put everything together. 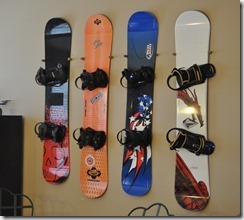 All in all, I came in at around $350 but ended up with 5 boards, 4 pairs of boots, and 4 sets of bindings. Enough for the three I needed , a loaner for friends/family, and a spare board. Is this stuff primo? No, with after a fresh coat of wax and tuning they are more than adequate for us. The next season we felt like pros walking up to the slopes in our OWN boards. We got in 6 days of boarding with only one equipment fatality; one board’s edge cracked. In my opinion, we wouldn’t have gotten 5x the fun by spending 5x more money, so it was a smart decision. Also verses rental, the cost has more than paid for itself. My wife has decided to try snowboarding this year, so I’m doing the same for her. In fact I just picked up her boots (Forum Aura’s used once) from a thrift store this weekend for $9, so I’m off to a good start. So if you are new to the sport, do not be intimidated by the high prices and all of the advice telling you you MUST GET this or that. Snowboarding would probably be a blast with a 2×10 strapped to your feet. My advice; if you are 100% new to board sports, then rent your first time. If you are somewhat knowledge about stances, riding styles, etc., bite the bullet and buy some used stuff. Trust me, you can EASILY sell a board/binding/boot combo for $100 on craigslist, and get your money back. We might not have the hottest setup on the hills, but you wouldn’t be able to tell from our smiles. We’ll get up to some nice equipment someday.